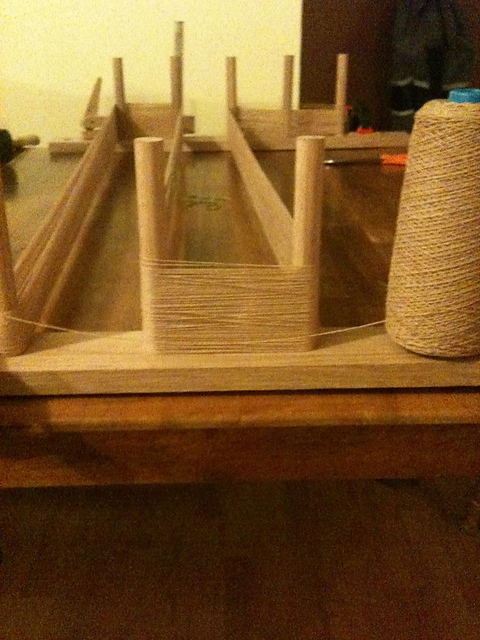 This is a pic of one of the warps I chose for the Christmas washclothes. Well, I haven’t finished those washclothes. They were more work than I barganed for. I’ve only gotten 3 done out of the 8 washclothes from just one warp. There are suppose to be 16 in all. I can’t do any other projects till this is finished, 😦 . Something fun for making little purses, doll clothes and other little crafty items. Currently I am working on my friends wedding dress. I am really excited about it. I tell her she’s terrific, how many friends would allow their friend to make her wedding dress?